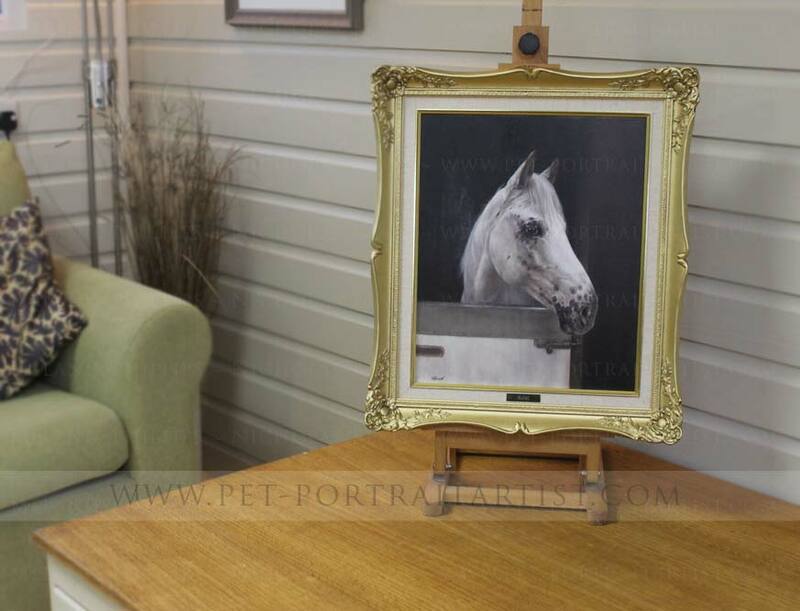 Paintings of horses looking over the stables door is a very popular pose for portraits. 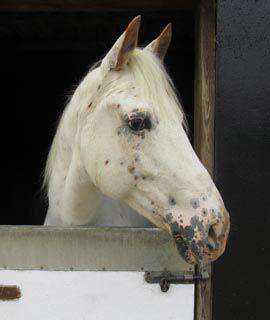 Not surprising as this is how we often see our beautiful horses, looking out at us in the yard. We enjoy painting portraits like this and the portrait of Ariel is no exception. Especially as the background is dark which allows Ariel's colouring beautifully. Scroll down to find out more about the commission and see the painting displayed in our clients home with our clients too! Please feel free to share our page using the buttons below too. 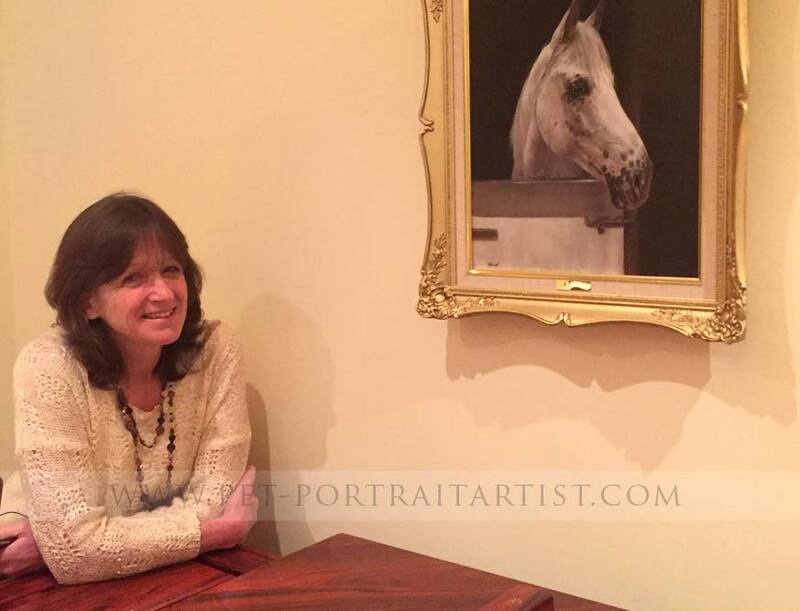 Eleanor and her family commissioned one of Nicholas' equine portraits in 2015 as they asked him to paint their stunning horse Ariel as a special Christmas gift for Eleanor's mum. 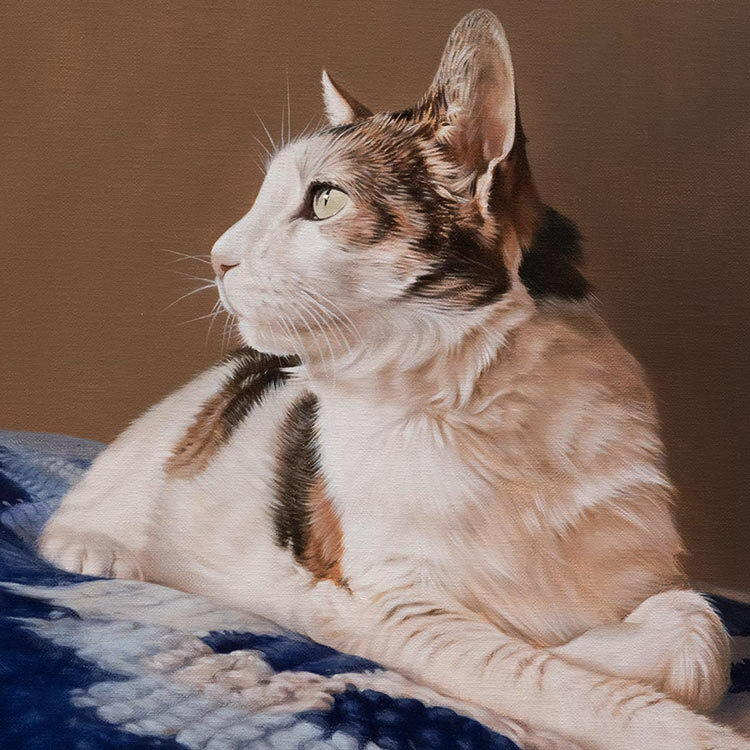 Eleanor had the perfect photo of Ariel that we could use as the basis for the portrait and requested a bespoke size of canvas at 13 x 16 inches to fit with another painting they already had in their home. We are always more than happy to work with our clients on the size of their paintings. We have a wonderful company who hand make all of our canvases here in the UK and they are always happy to make any size for us. 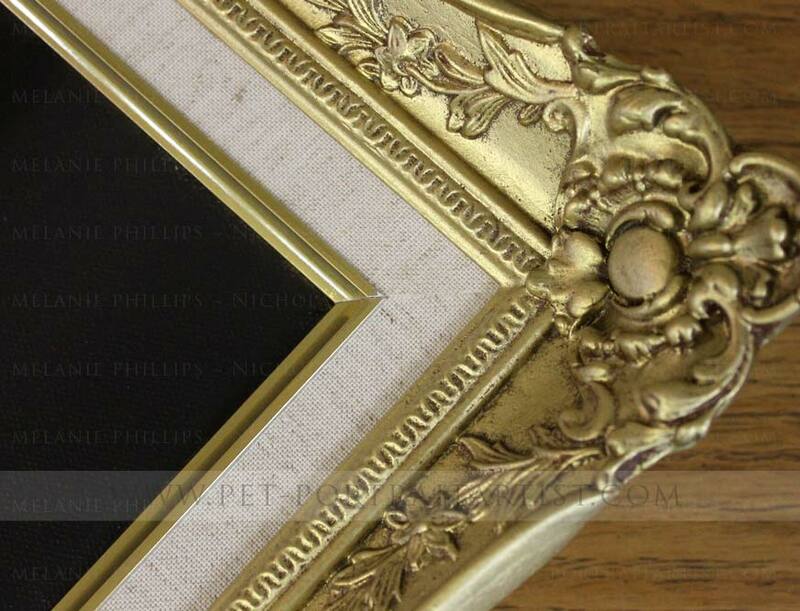 The portrait has been framed in the most beautiful gold swept frame that we have made bespoke for us. They work with us very closely on the exact size of our canvases and we have perfect results each time. 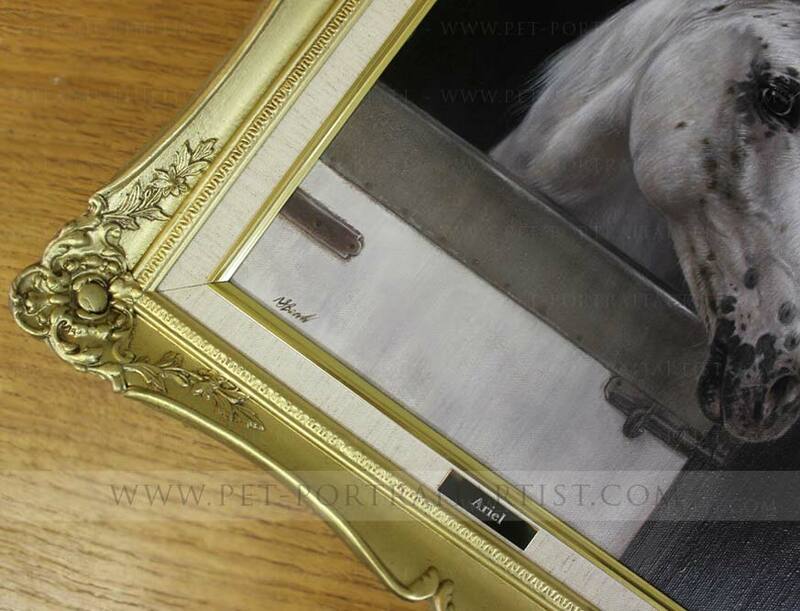 Eleanor also ordered one of our engraved plaques for the frame. We work with an engraving company who make one off plaques for us in Silver and Bronze and these are very popular with our clients. We framed the portrait for Eleanor and her family in a beautiful gold swept frame with inner linen slip. The colours work beautifully with Ariel, especially the sinner slip which is the canvas textured area which brings out the beautiful dapples on Ariel’s coat. 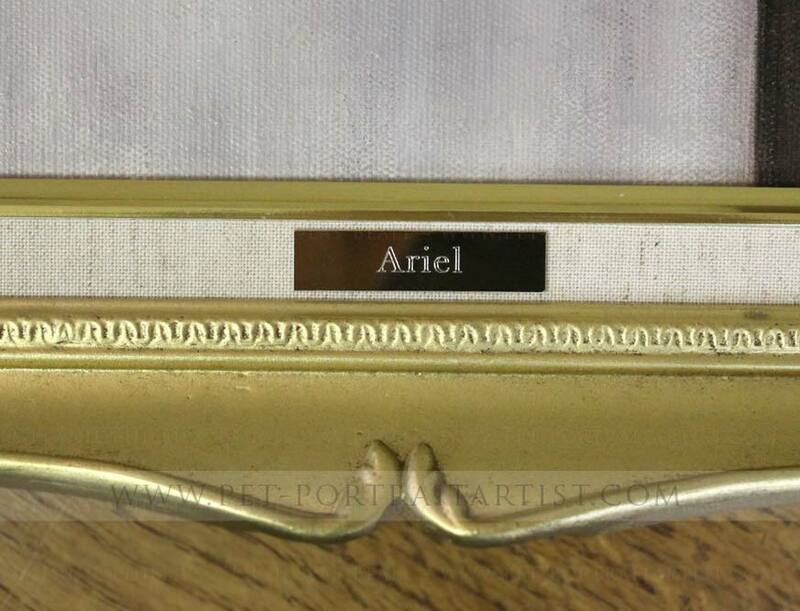 As you can also see our clients ordered a beautiful engraved plaque for the frame to finish it off beautifully. We have our engraved plaque made to order and they are simply stunning. 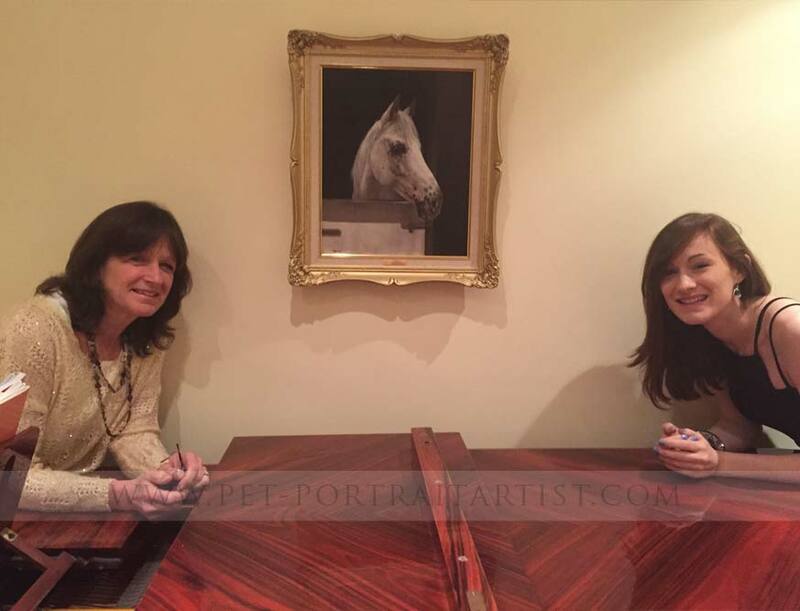 Here are a few lovely photos Eleanor emailed when the portrait was presented to her mum for Christmas. 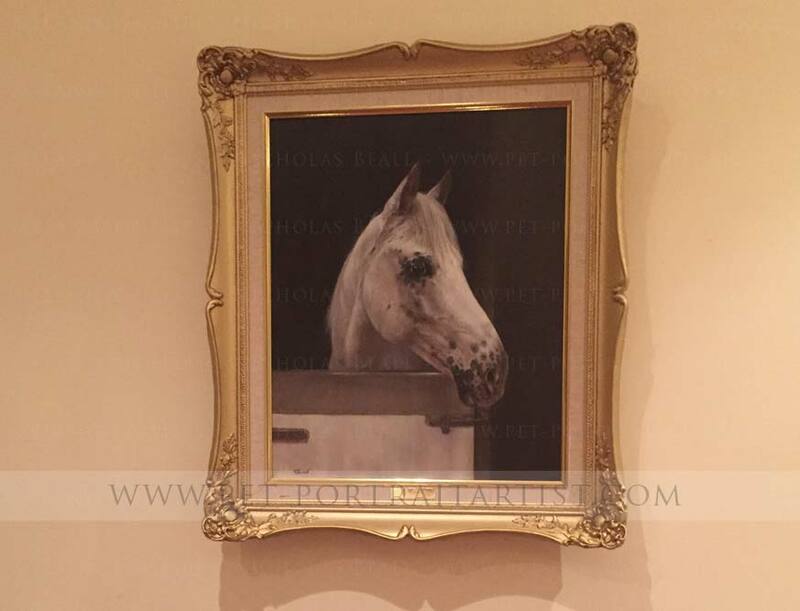 We are always thrilled to receive photos of where our paintings are displayed, it completes the story of the commission beautifully. We hope that you have enjoyed reading about the commission of Ariel’s portrait and are impressed with the skills of Nicholas' artwork. 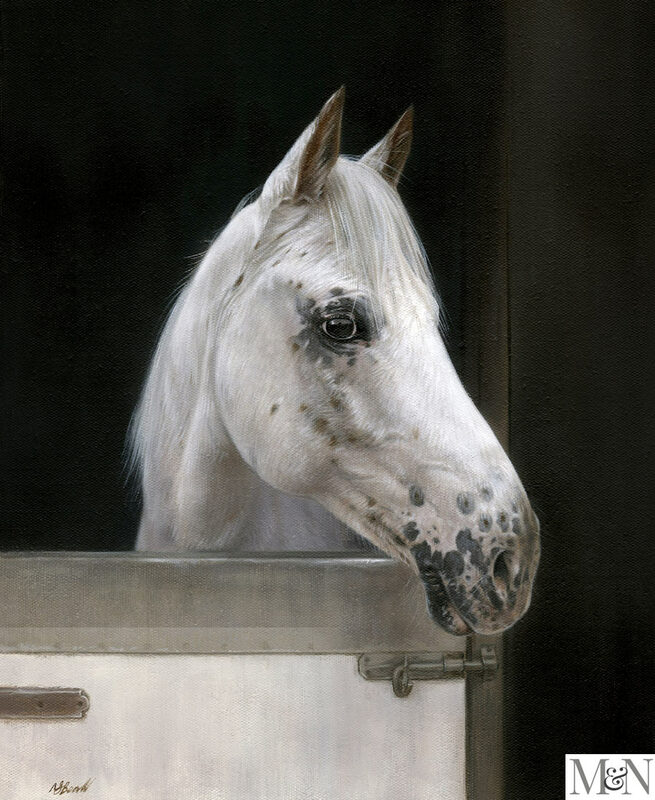 Are you interested in commissioning us to paint your horse? 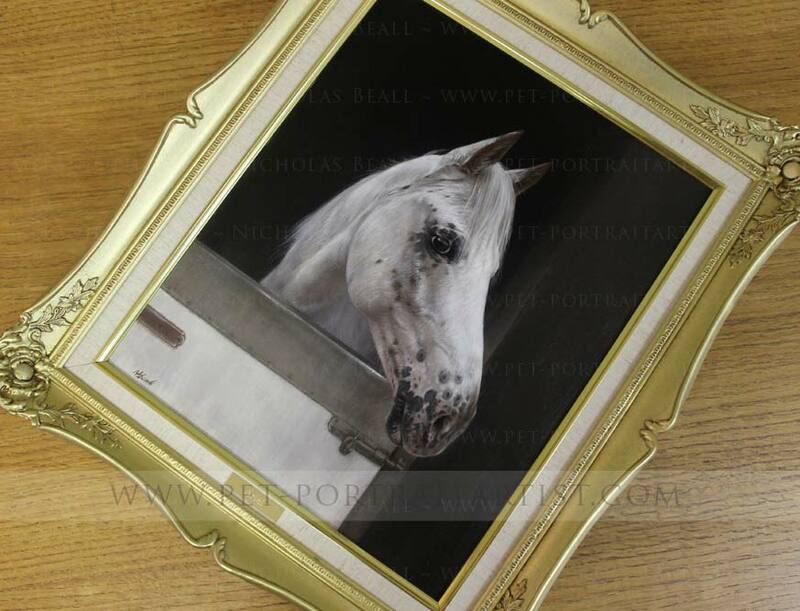 Why not visit our Horse portraits contact page and send us your photos.